A bit late putting this photo up but I found these two little bundles on Saturday 23 March. They came home with me as the dogs had found them first and although they had not hurt them they were in shock and it was a bitterly cold day and did not think that they would survive. Unfortunately one of the leverets which was a little smaller didn’t drink as well as it’s sibling and died at the weekend. 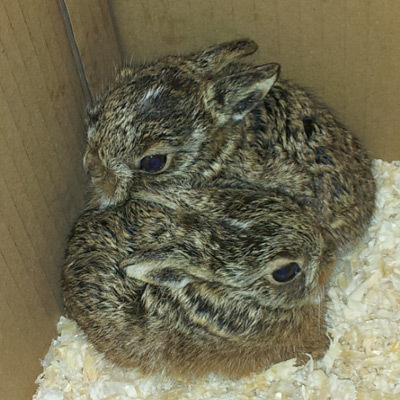 We have named the surviving leveret “Bixie” and he/she is doing really well and runs around the dining room like a bat out of hell.